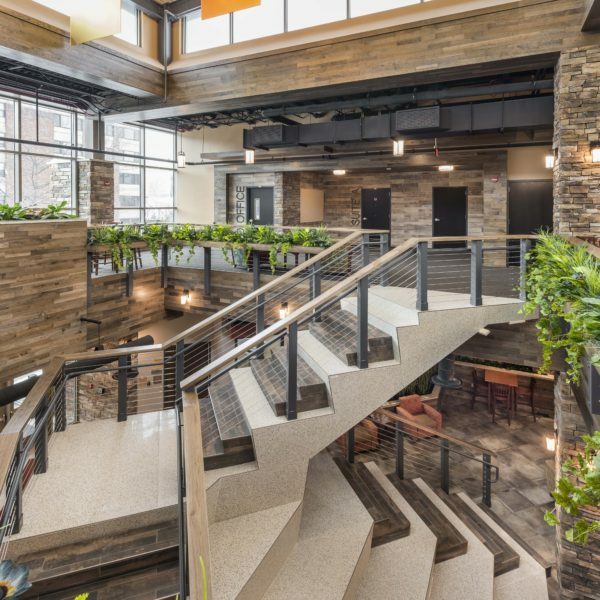 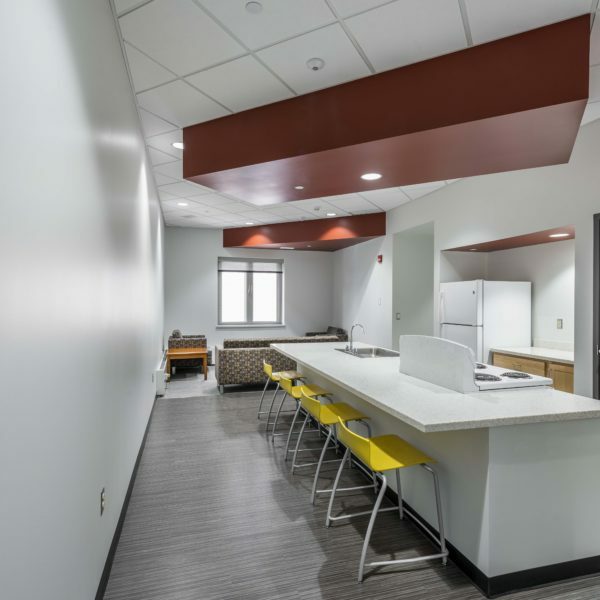 This project highlights the renovation of a portion of Alfred State’s largest residence hall. 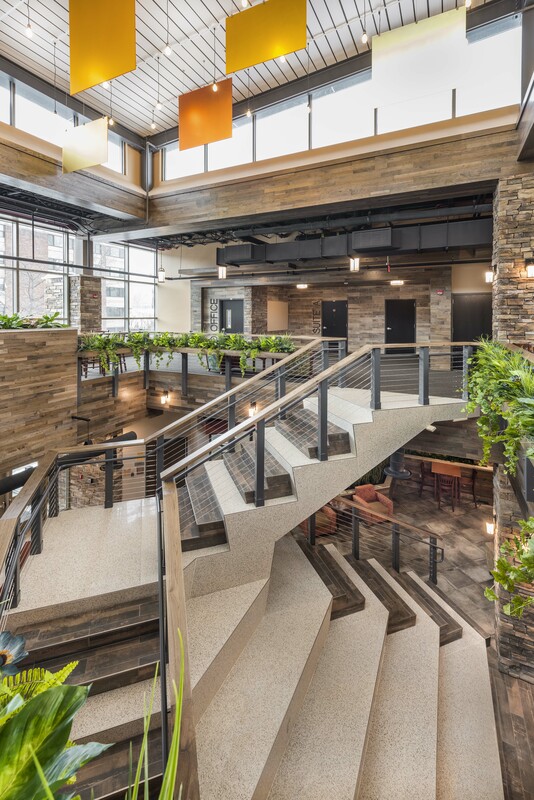 A new entrance and gathering spaces for students on each floor were added to the East tower, and a 35-foot-tall atrium was created in the 1,200-student Central Quad. 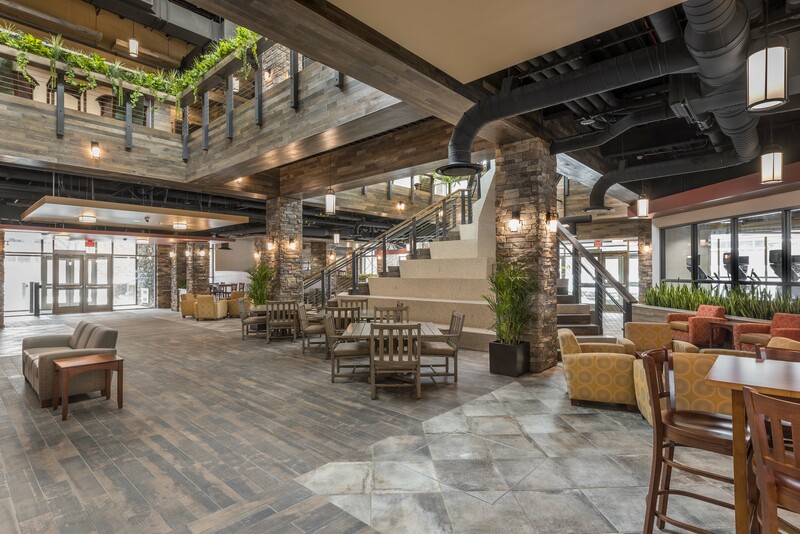 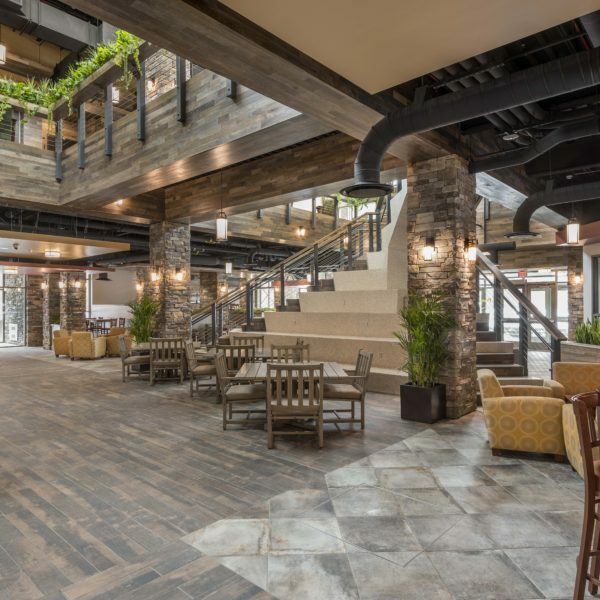 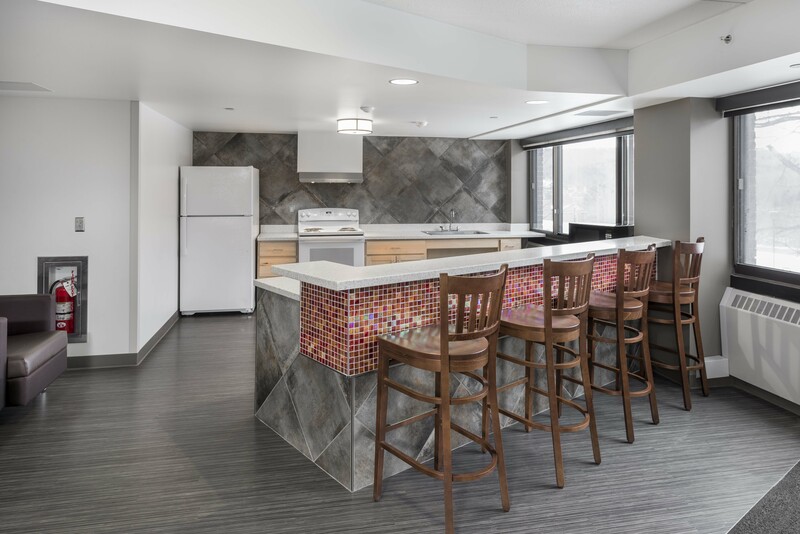 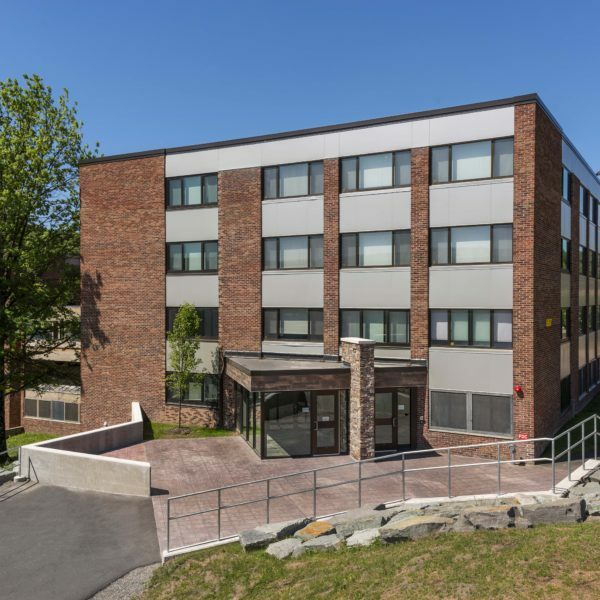 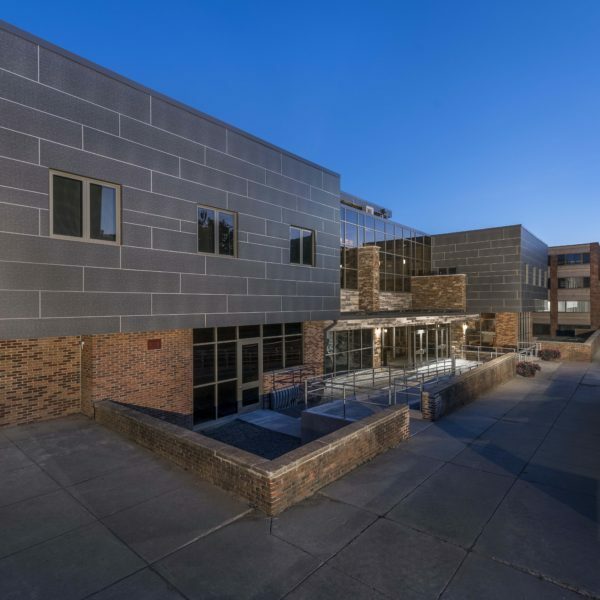 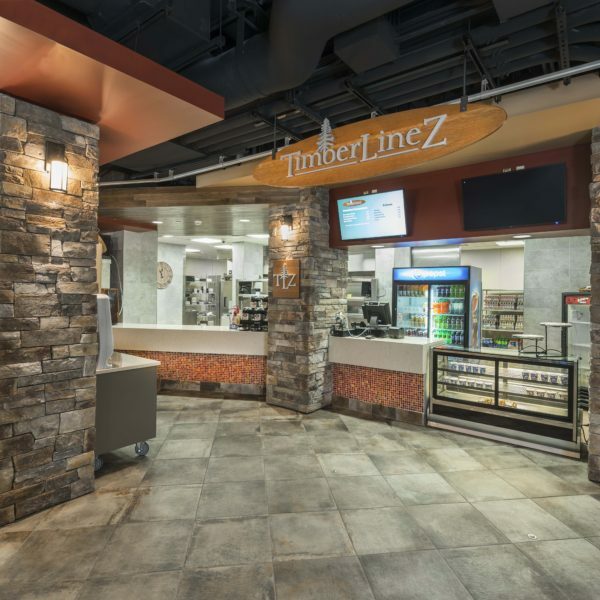 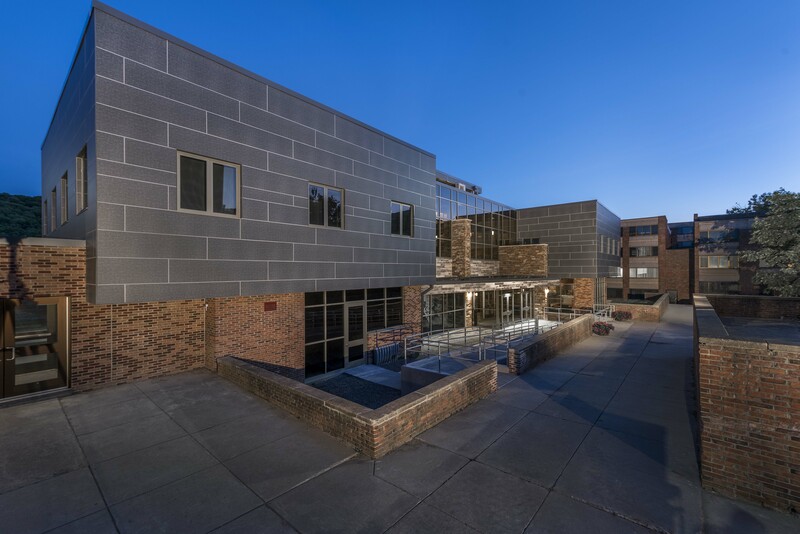 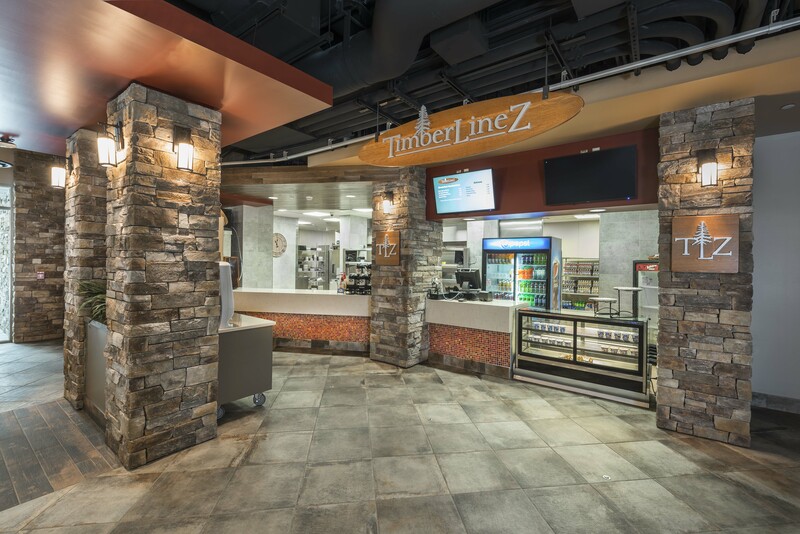 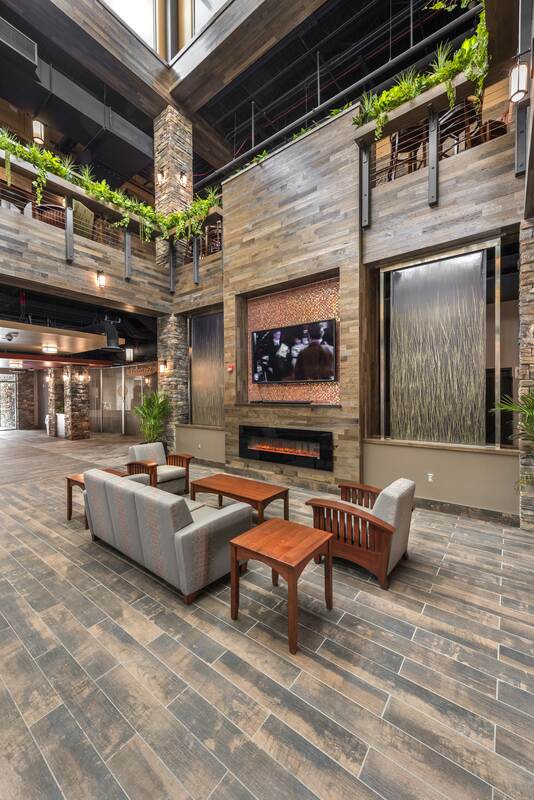 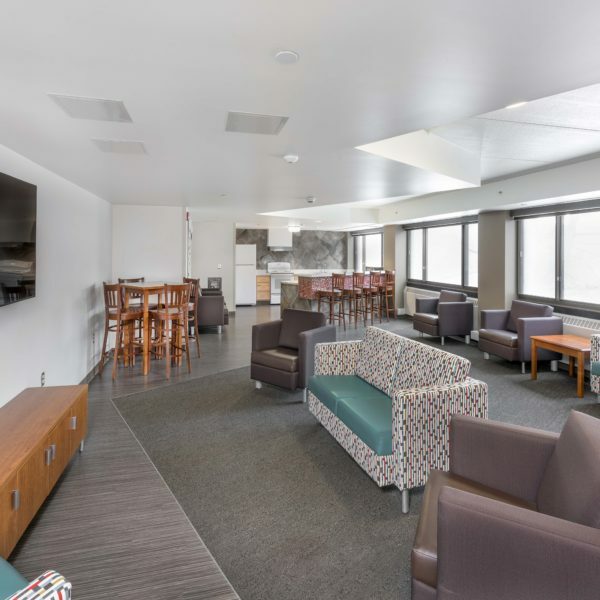 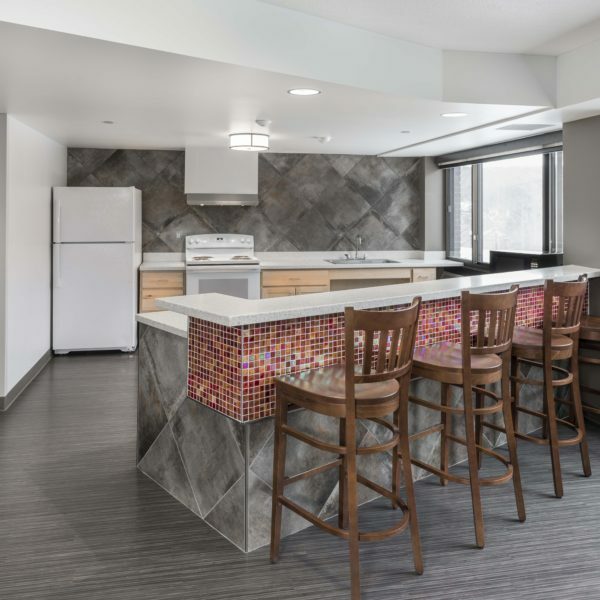 The project included demolition and asbestos/PCB removal in the Central Quad, Rowhouse 7 and Tower F. Sleeping rooms, lounges, bathrooms and other areas in Tower F were remodeled to create new living quarters. 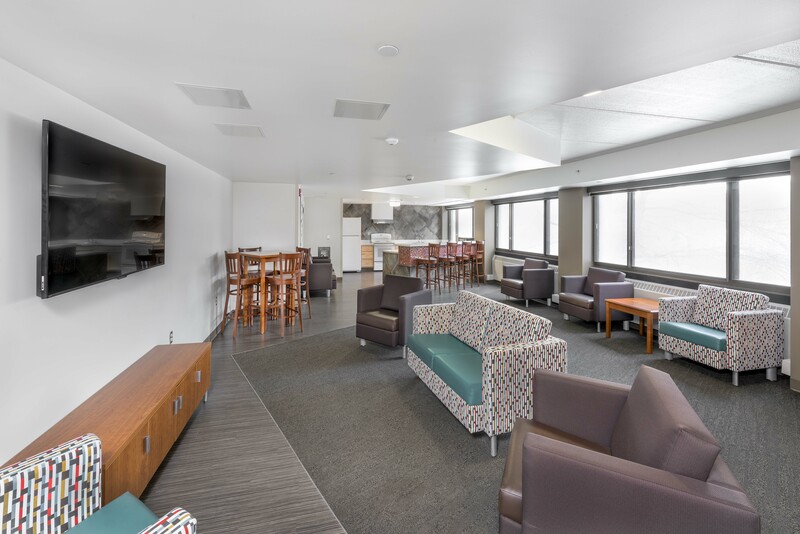 The Central Quad renovations consisted of new kitchens, a fitness center, lounge, a residence director office and new living quarters. 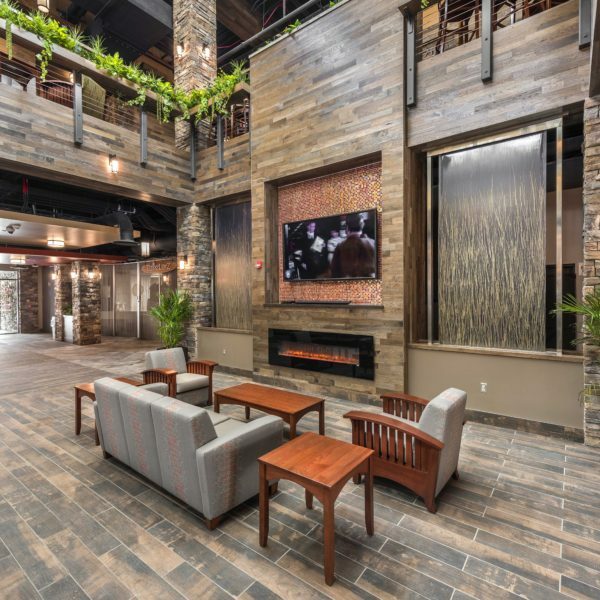 Some of the finishes include waterfalls, fireplaces and planters. 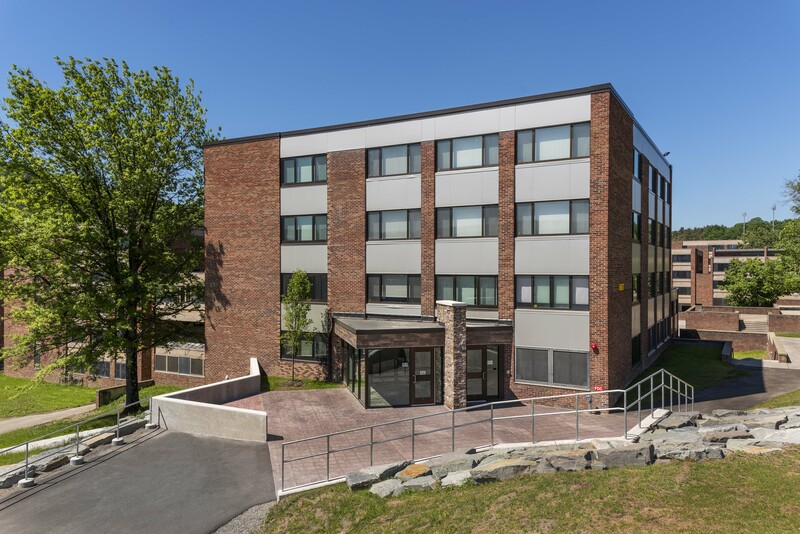 It’s interesting to note that the architects who worked on this project not only attended the college but also lived in the MacKenzie complex. 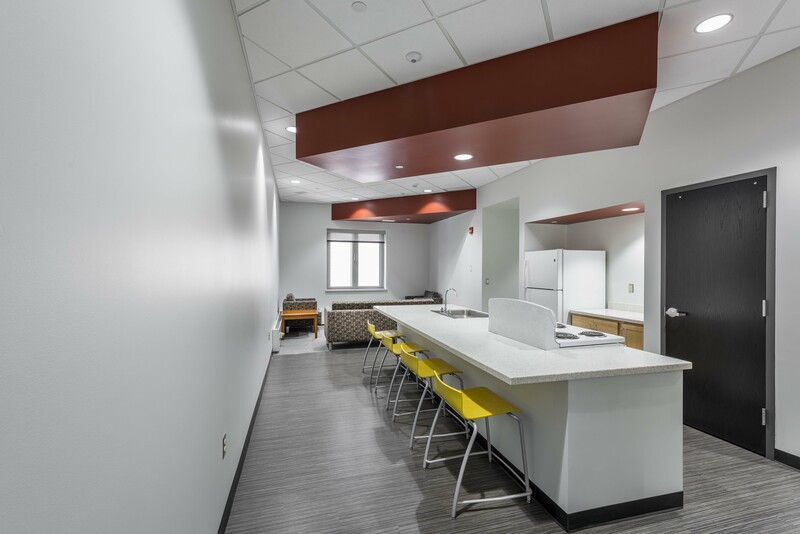 Their personal experiences helped ensure the design met the needs of the students.